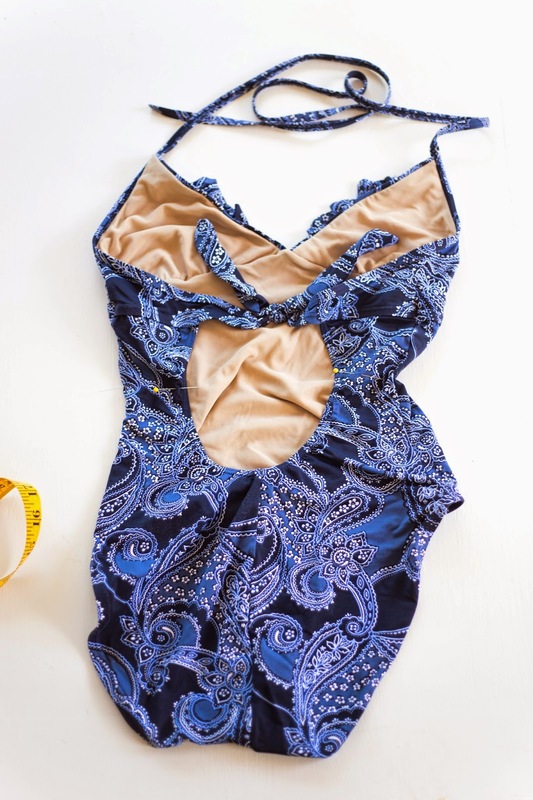 I was about to toss out this one piece swimsuit and go for a two piece, and those vintage 1950 swim suits were catching my eye. After having three kids, my belly button has become... messed up (to say the least), and so coving my belly button is a must! 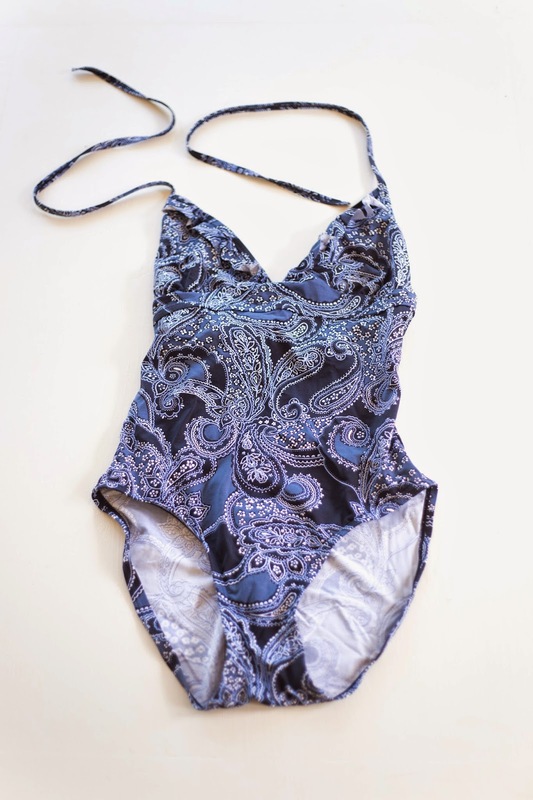 So, I thought I'd transform an old swimsuit! I searched around on Pinterest for some inspiration, and then came up with this. Grab a one-piece that fits you. Try on the suit and mark with a pin .5" above where you want the bottom piece to hit. Continue marking all the way around (when it's off you of course). Notice the back on mine has a scoop. So I will have to create a tie for the bottom piece to keep everything where it needs to be. 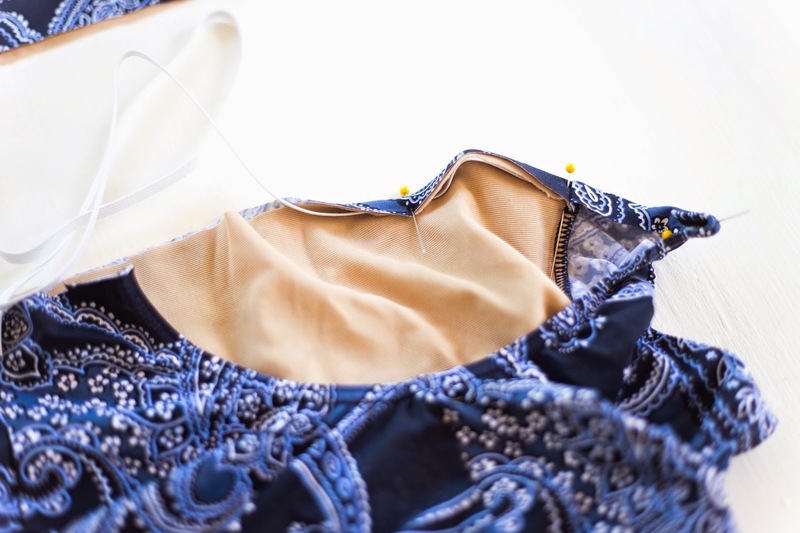 Cut off the extra fabric from under the "bra" area for your top piece. Keep .5" of extra fabric hanging there so you can hem it up and give the top a finished look. Keep the middle section of fabric in case you need to use it to make ties. For the bottom piece, get some skinny elastic and cut it about .5" shorter than the length around the waist of the suit. 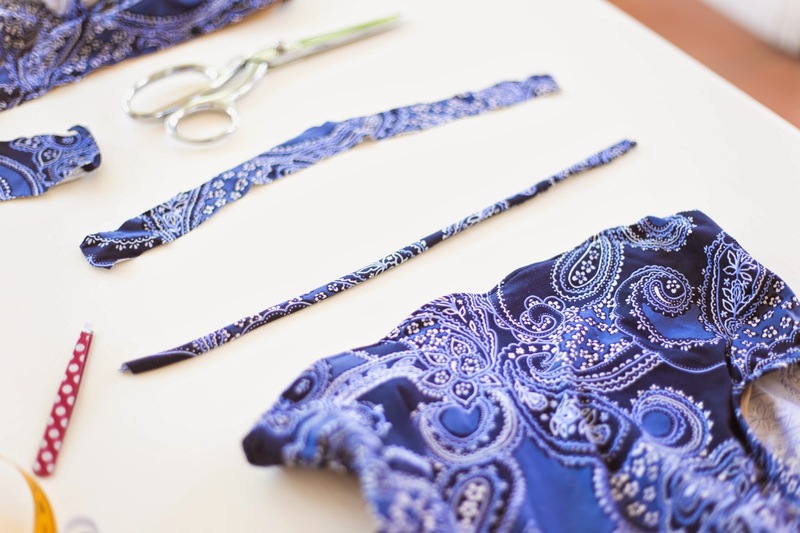 Fold the raw edge of fabric over the elastic and pin into place. Sew the elastic into place. You may need to pull it a little but try not to as much as possible. It will be a tiny bit wavy looking, but once it's on your body, it will lay flat. Then with the middle section of fabric that you set aside, cut it down the middle so you have two long strips. 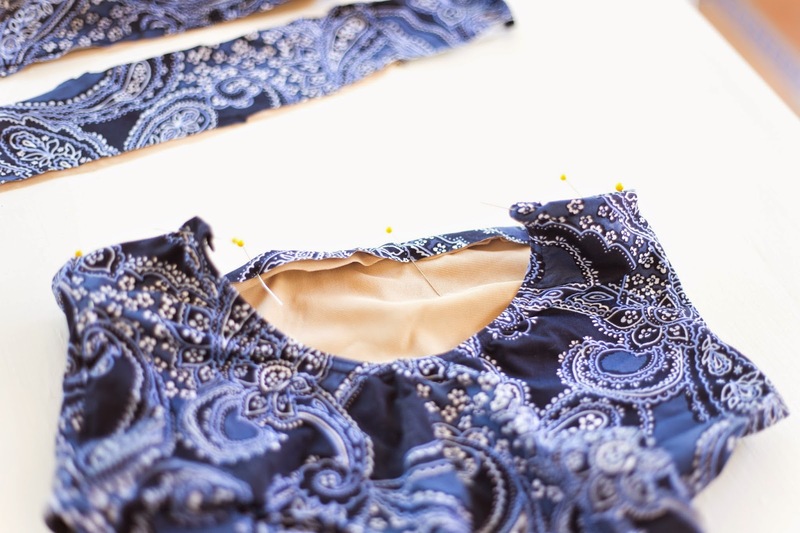 Sew them right sides together with a zig-zag stitch. Pull it right side out. I used tweezers to pull it through. 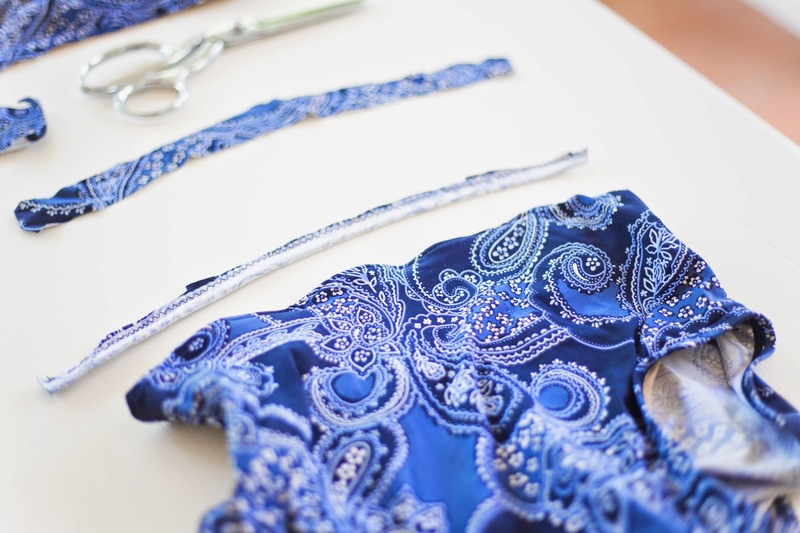 Sew it onto the top of the curve. On the top piece, fold under the raw edge. Hem it up. I hem twice to make sure it lays flat. Basically sew around once, and then move over a bit and sew around again. Do this to the top and bottom pieces. this is so darling! i actually love the little cutout and tie on the bottoms! I would put a contrasting waistband at the top and, maybe some buttons on it. That looks so cute! 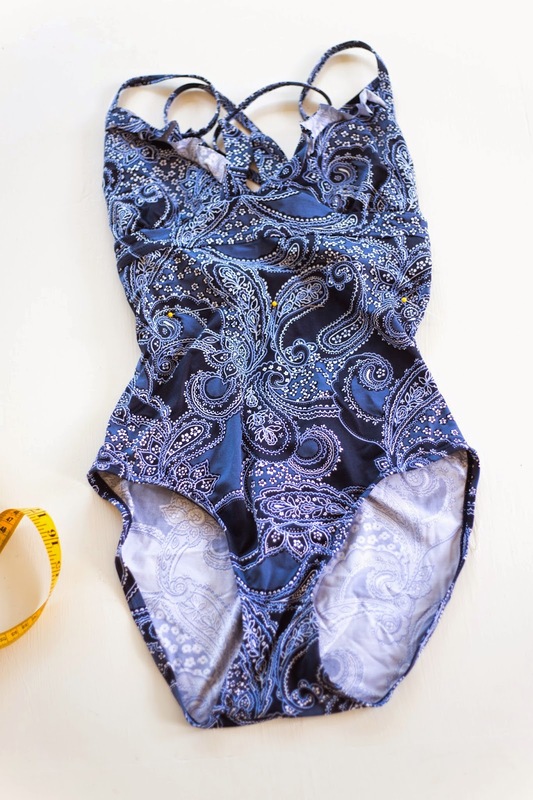 I was thinking about doing the same thing because they don't sell very many high waisted bathing suites at the store, so I got a one piece, but it is a bit short for my torso. This will definitely help me turn it into a 2 piece, thank you!